VirnetX is a company that is in business to profit from purchased patents. 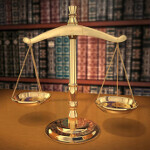 Taking other companies to court is part of the regular business operations of the firm. You might recall that last November, a jury in Texas awarded the company $368 million from Apple. At issue were four networking patents that VirnetX claimed Apple infringed on with its FaceTime and iMessage applications. 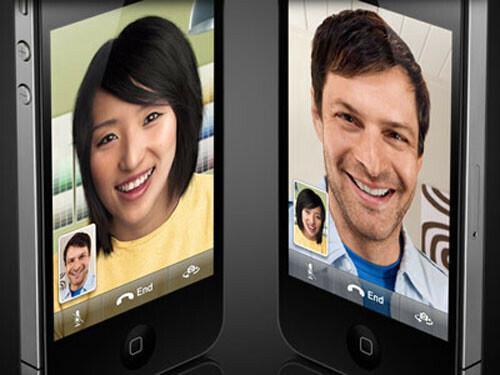 Apple's defense was that even if Apple engineers used technology in creating FaceTime that was similar to what VirtnetX owned the patent to, it was a such a small part of a complex product, that VirnetX should not be entitled to any money. Yesterday, a Federal Judge upheld the $368 million award, and denied the Cupertino company's request for a new trial. The judge also ruled that until the two parties get together on a licensing deal for the four patents involved, Apple must pay $330,000 a day to VirnetX. If both sides fail to reach agreement in 45 days, the judge will make a final ruling. While we are not lawyers, and never played one on television, it sure sounds like there is pressure being applied on Apple to reach an agreement. Also, it is interesting to imagine how Apple's attorneys would have responded had Apple's defense in this case, which was that VirtneX's patent was for a small part of a complex product, been used by one of Apple's rivals-like Samsung-in one of the patent cases where Apple is the plaintiff. Hell yeah, how do they like THOSE apples! :D :D :D what goes around comes around.it got what it deserves. 1. Apple does kinda deserve this. (Rectangles is all I'm saying.) 2. VirnetX patent trolls so hard it's sad. (Why the patent system needs fixing.) That being said if I were VirnetX I'd hold out/stall negotiation for 30 days or so to milk all I could. Yeah, I have mixed feelings about this as well. Certainly payback time for Apple, but in the end it's just one patent troll losing to another patent troll. Hard to get excited about that. Has anyone else noticed that when apple infringes on a patent they say "we stole such a tiny part that we shouldn't compensate them", or "we didn't steal". Yet, if someone else borrows a tiny part of their design, they think they are owed the entire company in repayment of that "theft". What gives apple, either you owe, or you don't? BTW, someone should explain irony to apple. In spite of how much I dislike Apple business practice; to allow a company who never try to introduce a product to a market, to sue is a disgrace; Apple, Samsung, Microsoft, LG, Nokia, BB, and Google need to join forces to stop these companies from doing this mess, this will come back to bite all these companies in the end!. Apple is no less of a patent troll than VirnetX. Don't get me wrong, I don't condone what VX is doing, but apple is just as guilty in a much worse way. 368 million or 330,000/day ... they should post it on their website "iStole"
D@mn you're an idiot. No one here is saying that VX is in the right here. But what they are doing is NO DIFFERENT than what your beloved apple has done/is doing. The difference is that most here can see apple for what they are, just a bigger, richer, VX. You do realize that Apple also has it's own little patent trolls that it rents it's patents out to have them bother other companies to pay royalties. What goes around comes around...VirtnetX is a troll who needs to pass up those patents since they aren't doing a damn thing with them except trolling. USPTO should take control of patents when this happens and use them to get royalties to use for public benefit. Since the companies using the patents are always making a buck off the public anyway, might as well get them to contribute to the public by paying royalties for the patent and keeps the trolls beaten down forever. i wish these news made it to giant post of advertisement like apple has one for its own. only people who read blog know such dirty stuff about apple all the other people who are blinded by apple dont see this and they need to be shown apple real face. Good times! Instead of investing 12 billion in advertising Samsung should just hire a bunch of these companies just to give Apple a bigger taste of what they deserve. only 23% of 1.5b but still its a good feeling someone stood up to bully. samsung lost the case because of "visuals" this is intellectual stealing of programming codes. Apple should just pay them outta their 1.5 billion dollar Samsung settlement. that money should go to htc to be honest. that company is doing dearly bad. htc needs money and new ceo. they have great engineers. but the business men of that company will drown it. Oh snap... Apple got a taste of their own medicine, a hard pill to swallow. Apple is getting what they deserve. Side note, company like VirtneX are 100x worse then Apple. They need to be take out of the equation all together.